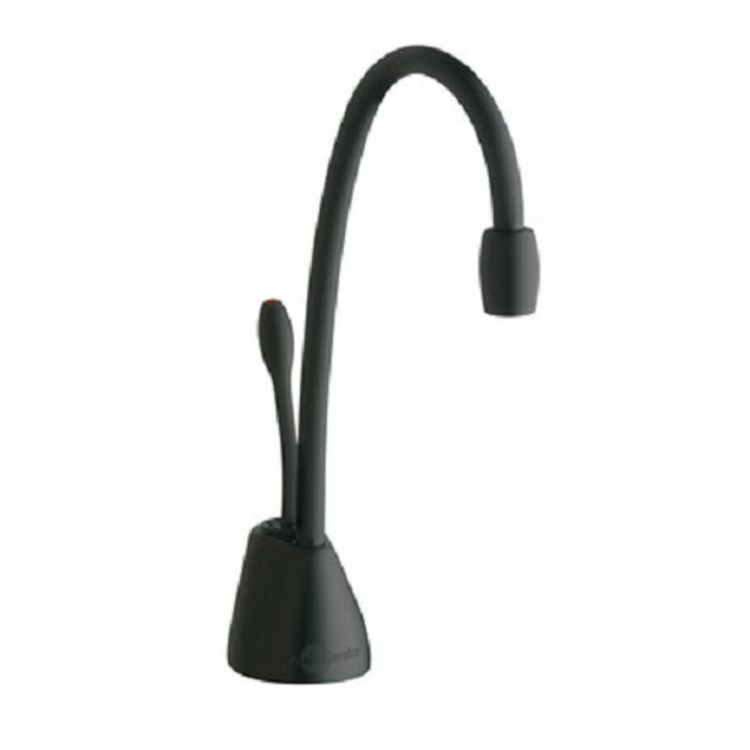 The InSinkErator F-GN1100MBLK is an instant hot water dispenser that comes with a classic matte black finish. This cost-efficient dispenser is the newest addition to the family of the Indulge Contemporary series. 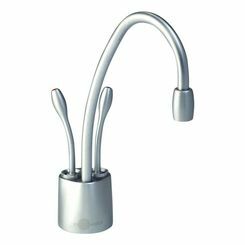 It features a durable corrosion-resistant all-brass construction faucet with an elegant high-arc swivel spout for maximum convenience. This user-friendly dispenser allows you to easily adjust the temperature and also gives you the option to set the flow rate. 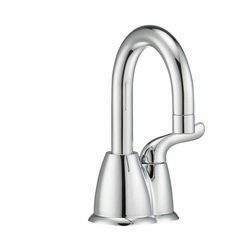 The InSinkErator F-GN1100MBLK is designed to be used with the InSinkErator hot water tank (HWT-F1000S) that includes water filtration system (both sold separately). Also, for extra assurance and peace of mind, the InSinkErator F-GN1100MBLK is backed by an exclusive 5-year in-home limited warranty. This time-saving dispenser offers a countless number of benefits you can take advantage of - from preparing instant hot tea and coffee in the morning to cooking pasta, or perhaps cleaning baby bottles. Even cleaning the house without the need to use harsh chemicals becomes a breeze! On a side note, this dispenser requires a hole diameter of 1-1/4" to 1-1/2" standard sink hole and counter top thickness of no more than 3". This unit is intended for residential use and not for commercial/industrial applications. 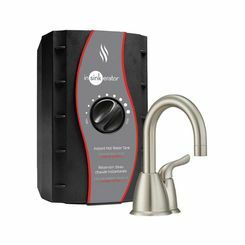 Requires a hole diameter of 1-1/4" to 1-1/2" standard sink hole and counter top thickness of no more than 3"
1/2 gallon capacity delivers 60 cups/hour of near-boiling water. 120 VAC, 750 watts, 6.5 amps. Thermostatic control adjustable from 140Deg Farenheit to 200Deg Farenheit. 3-year We Come To You Service Warranty (IN-HOME parts and labor service warranty). Patented DuraTank hot water tank system (Uniquely designed for unsurpassed performance).